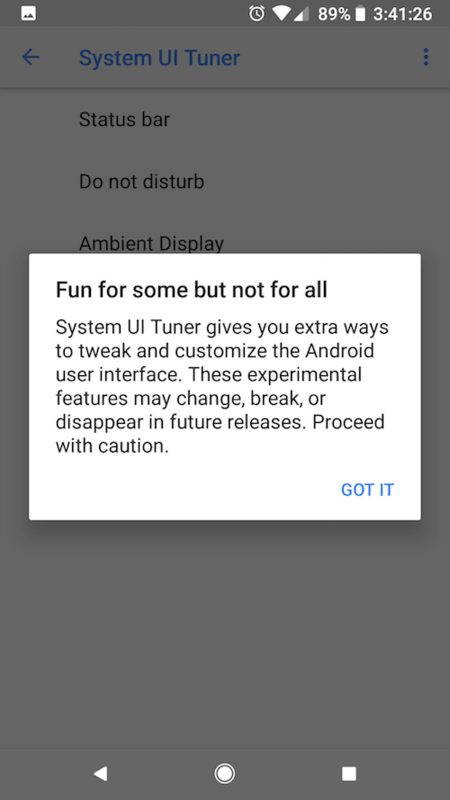 System ui tuner can be enable to Android Marshmallow, Nougat or Orio. 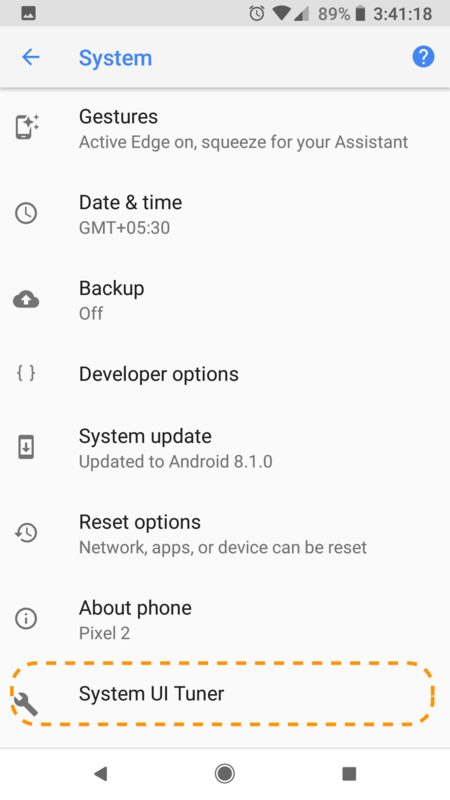 It lets us customize more system ui settings on Android e.g. status bar icons. Pull down Android quick setting menu. 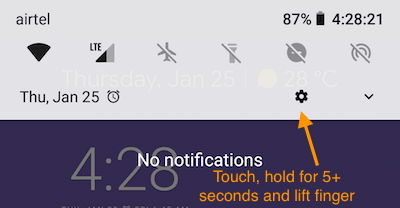 Touch, hold (for 5+ seconds) and left setting icons. 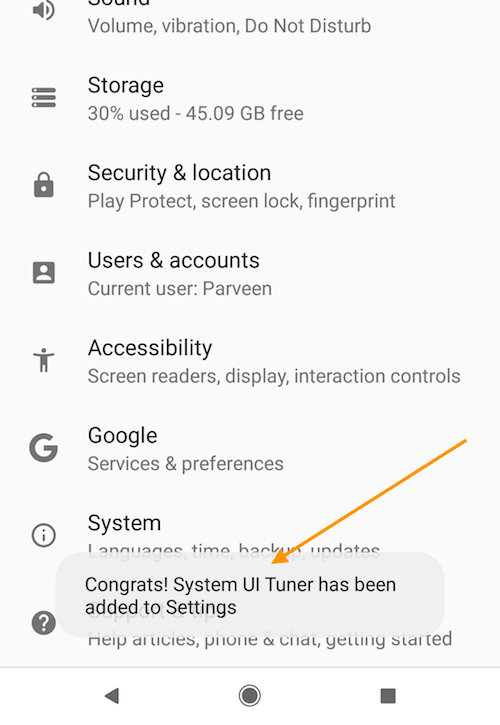 You will see a message: “Congrats System UI tuner has been added to settings. Then click on System and then System UI tuner. When accessing first time, you may see a warning message. Click on got it to accept it.